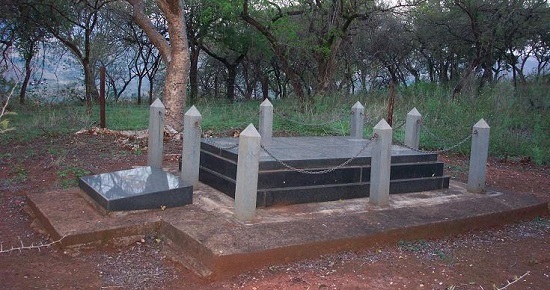 Situated west of Eshowe, between Nkandla and Mbongolwane lies the grave of Cetshwayo, the last king of the Zulus to be recognized by the British as a monarch of an independent nation. 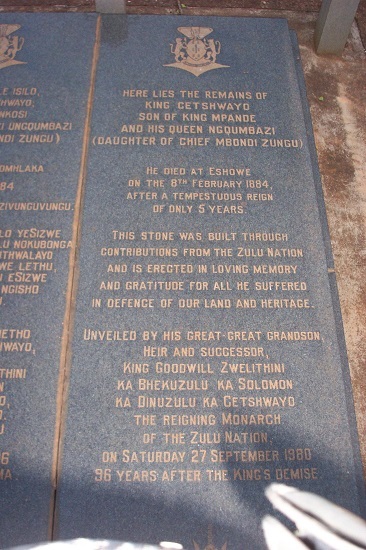 The grave is under the control of the Shezi clan and it is extremely difficult to find without the assistance of a knowledgeable guide. It is, however, a trip well worth undertaking for it remains one of Zululand’s best-kept secrets and something that the average tourist will never see. The King’s memorial is far more accessible. Sited in the middle of a residential road in Eshowe, it sits next to the house where Cetshwayo was “exiled” by the British after the defeat of the Zulu impis at the battle of Ulundi.